The morning star star is shown on the left. 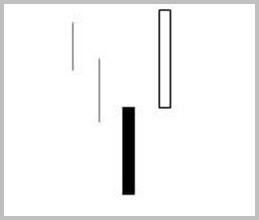 A bullish kicker is signal is shown on the left. It shows a change in sentiment on what the buyers and sellers feel about the stock. The first candle is dark (close < open). I generally like see this red candle at the end of a trend. The bullish candle is the green candle (close > open) and the Low is greater than the previous candle's High. This usually marks a drastic change in sentiment regarding the stock. The traders before the green candle were pessimistic about the stock and the sellers were winning. They were successful in bringing the stock down. 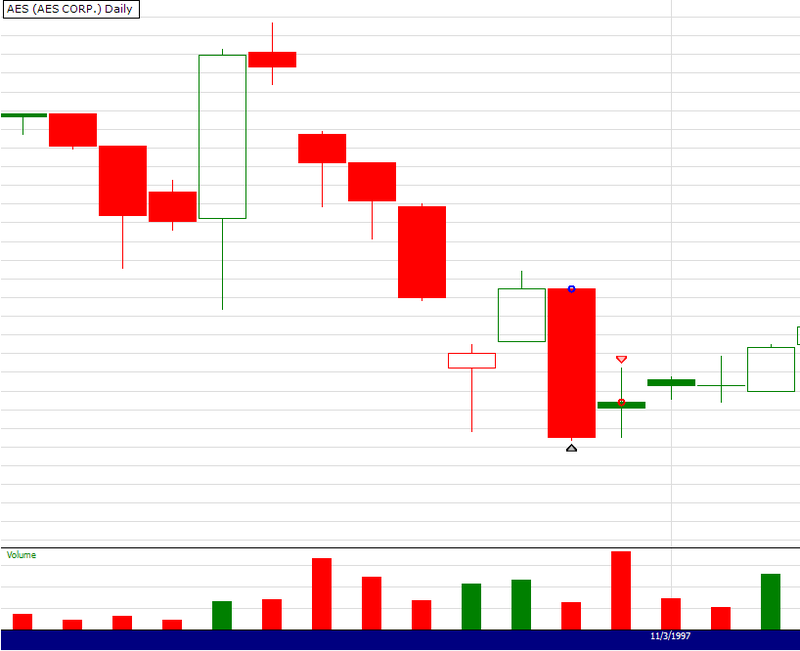 The kicker candle usually represents a change in sentiment and buyers are back. This may represent a positive announcement by the company.